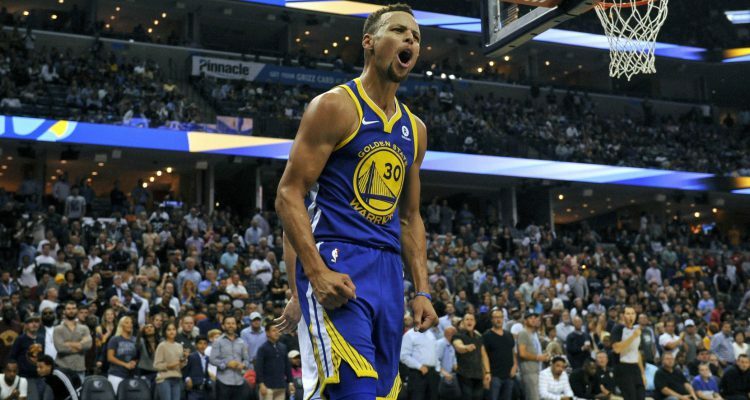 The last time Stephen Curry lost the charm, the niceness, and the overall politeness that comes with his game was during the 2016 NBA Finals, before one of the greatest collapses in basketball history. Saturday night’s game meant far less, felt much smaller, but still was a wild sight especially in a regular season game. 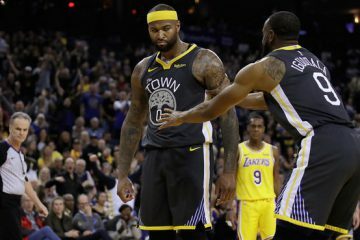 And so far through the first three contests, the Golden State Warriors haven’t found the rhythm that makes them who they are through the last three years. I keep reiterating and harping on the word “rhythm” because the Warriors are showing zero of it on both the offensive and defensive end. Even during the flashes, it’s been only individual players, or individual players, but never a stretch with the team as a whole. And as quickly as the highlights have come, the bad has swung back too soon. Just as Steph cans 2 3s in a row, he gets called for his fourth foul on an unnecessary reach. As the Warriors cut the lead in the second half from 18 to single digits, Klay Thompson jacks up a 28-footer with well over 20 seconds left on the shot clock. On defense, the perimeter cuts and drives are met with almost no restriction. Simple backcuts from the James Ennis and Jarell Martins of the world feel much more painful when you’re not able to score or combat it on the other side. And on that side, the forced passes, the continued laziness and carelessness have caused an unrecognizable motion offense. It feels like the integration of a roster that is simply too deep, and not ready for the regular season, yet. 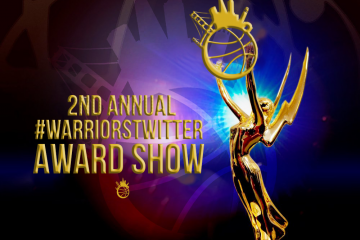 The Warriors and most importantly, Steve Kerr, preach timing, precision, and an egalitarian system. For that to happen, multiple people need to play well, not out of necessity, but for this particular scheme to function smoothly. The Warriors can easily run pick-and-roll with Steph and KD over and over again but the reasons for not doing it have been said and repeated throughout the last 3 seasons. So instead, the Warriors keep it in their back pocket until it is absolutely needed against LeBron James in the NBA Finals. For now, they want to beat opponents with their “Beautiful Game”. But for that to happen, they need practice time, reps, and real life game minutes with each other. It’s not usually this bad, sure, but the combination of their own sluggishness and integrated pieces have caused a slight avalanche. Nick Young came to training camp out of shape. Omri Casspi is hurt. Andre Iguodala is just getting back into game shape after injury. Shaun Livingston is a fine player but isn’t changing a game at this point his career. The backup bigs besides David West (superb so far) aren’t making an impact. Patrick McCaw is an ideal breakout candidate but hasn’t been able to play enough to show much. Now for the starters, they’ve simply tried to coast after keeping games afloat and have been bitten as seen in the Houston game and the beginning of this one. Overall, the Golden State Warriors will be fine, more likely, uncannily great. But the continuity that we thought ingrained because of Durant’s second year might take a little longer than expected. 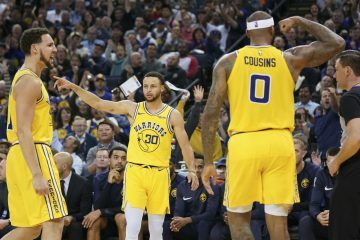 The coasting, lack of readiness, rest of the rotation’s unfamiliarity in a Steve Kerr system, and the famous championship hangover has lead to a 1-2 start. 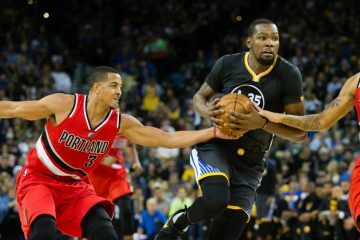 If you’re looking for bright spots, Durant and Curry are starting to heat up on offense. The wins are going to come. And it won’t get any easier than at Dallas on Monday night.